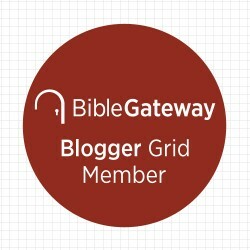 Have you tried the 3-Step Bible study method I shared in last week’s post? We’d love to learn from you, so tell us one great truth you found as you studied. 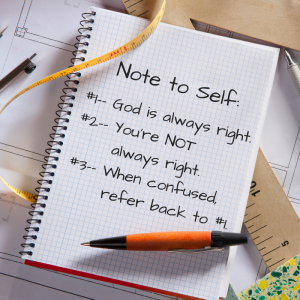 I’ve left a sample comment for you of my notes, and a truth that’s changed the way I think about prayer. If you haven’t tried it yet, it’s not too late. Click here to download the handouts and take it into your time with Jesus today. 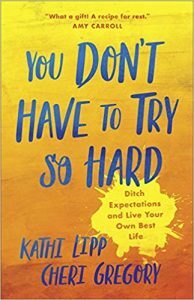 I’ll randomly choose a comment to receive a copy of You Don’t Have to Try to Hard by Kathi Lipp and Cheri Gregory, a book I loved so much that I endorsed it! I am going through something now and I have been praying and have turned this over to God because I know I can’t get through whatever may come without Him because He knows what’s best even if it doesn’t feel like it at the moment. ahead of God thinking I’ve got this it must be the right thing to do or say depending on the situation. Thank you so much for sharing this. I loved that you were willing to share a sample from your own study notes. My pleasure! The 3-step tool has been so transforming for me that I love to share it. Thank you so much for sharing this bible study tip. Lately I have gotten stuck between points 2 and 3. I guess I would say I get more frustrated in light of these troubling times we live. In. Point 3 reminds me that God is in control. Thank you for the Bible study notes . I especially like that you gave us a sample from your Bible study notes. This is a good way to study the scriptures. I’m so glad you like it Elsie! Using it has been life-changing for me. We can all get stuck. Here’s great advice for everyone (not just speakers and writers) about moving forward!